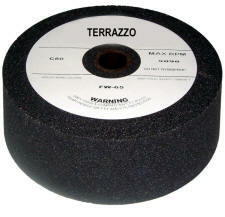 We manufacture silicon carbide terrazzo grinding stones in a variety of shapes. Several grits are available as noted in the table below. Call 1-800-367-7291 for more information.